Pretty in purple? 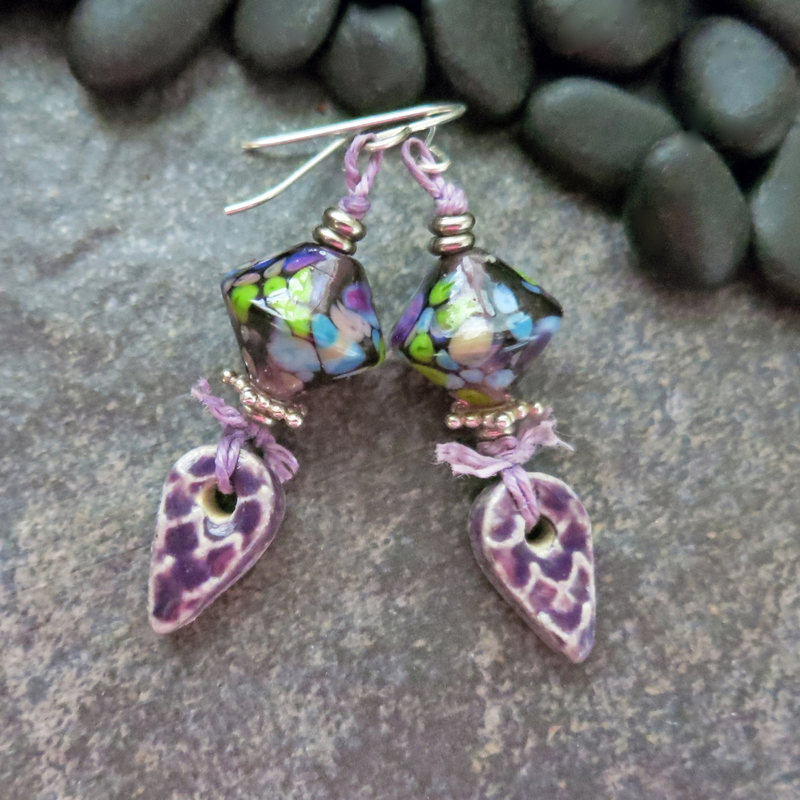 Yes, that's you, when you don these pretty purple lampwork glass earrings. 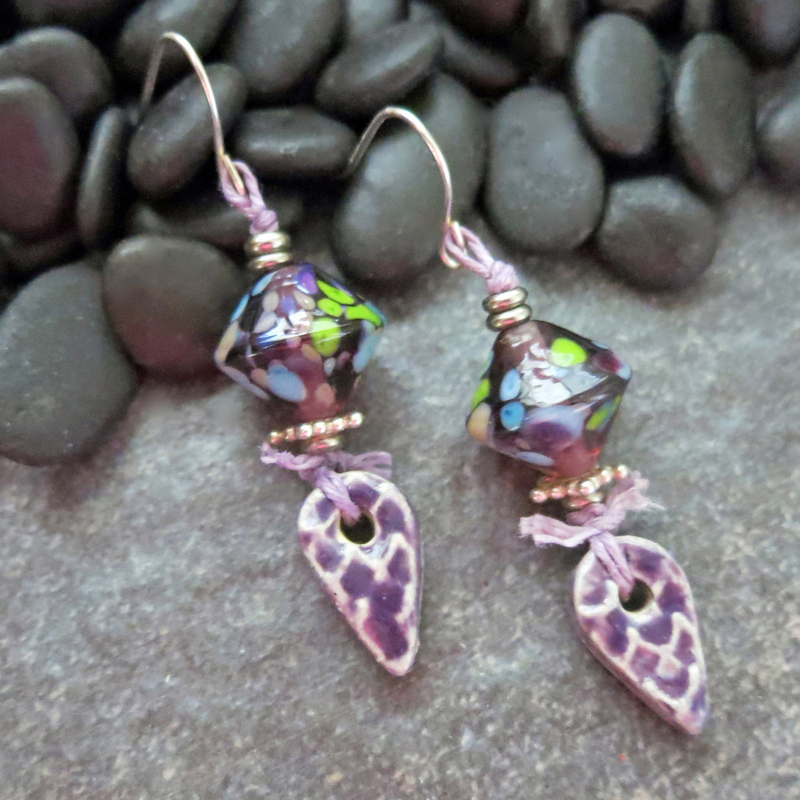 I love the way the purple glass is dappled with splashes of green, blue and lavender. It adds a delightful pop of color to the design. Irish waxed linen wraps the glass up with silver colored spacer beads and my own handmade ceramic charms. I left short bits of the Irish waxed linen by the knot and frizzed the strands out a little, adding a bit of boho charm. 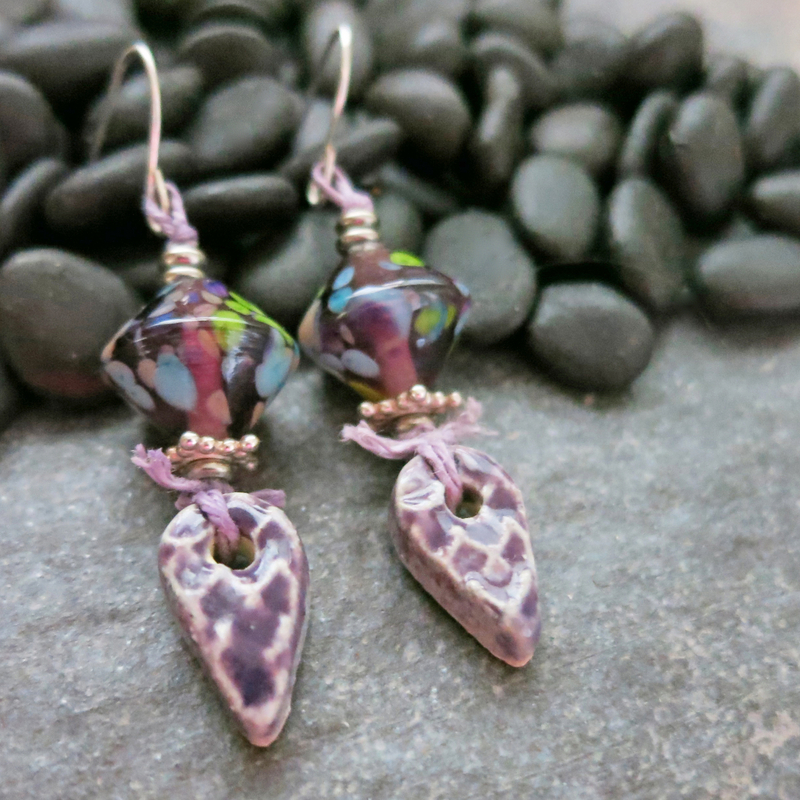 The earrings are topped with handmade silver tone ear wires. 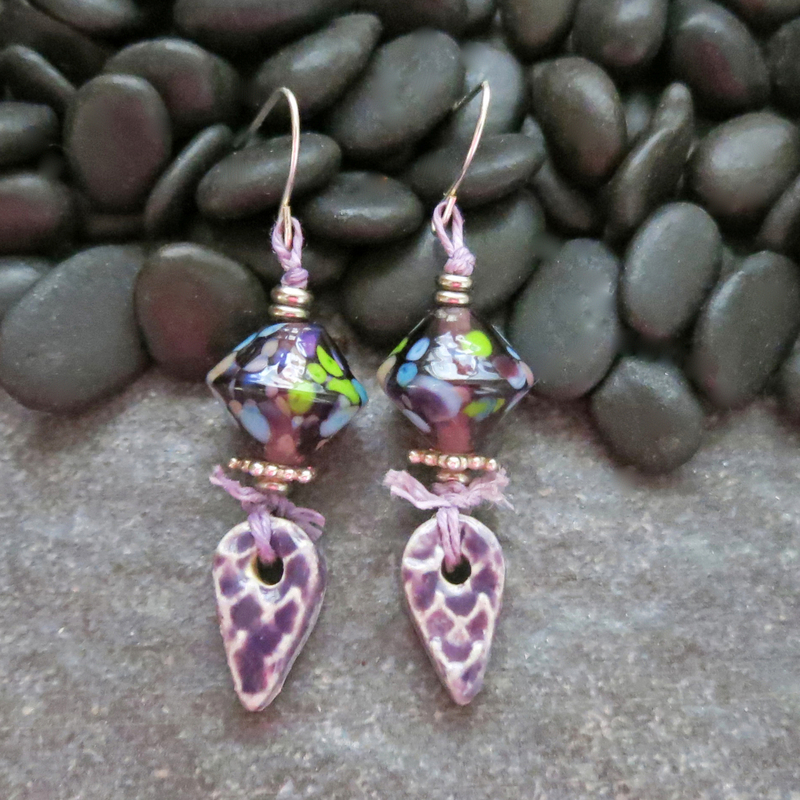 These one of a kind earrings are a joy to own or give as a gift to someone special.